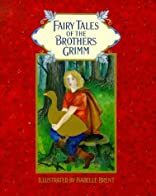 The Fairy Tales of the Brothers Grimm. The Fairy Tales of the Brothers Grimm was written by Arthur & Lucas, Mrs. Edgar Lucas -Translator Rackham. The Fairy Tales of the Brothers Grimm was published by Folio Society.